Great amenities, safe and clean. Being close to downtown without the noise is great. Now that the warmer weather is here we are looking forward to enjoying the beauty of Rolling Mill Hill. Living at RiverHouse has been great. Love the amenities and community events. And I can’t wait for the pool to be warm enough to hang around again. Great place to live, quiet and very walkable to downtown, bars and arena, love the view, pool, and gym. Maintenance is great and very responsive. We love living here but people are really loud in the hallways at all hours of the night and sound proofing for being so close to the pool we hear everything. I did quite a lot of research on finding the perfect apartment building when relocating for work from Miami to Nashville. Aesthetics, appliances, finishes, and location were what had me choose River House. AJ was a pleasure to work with and helped me throughout the way. Glad I got one of the last 946 sq ft models. It is so cozy and the complex is so clean, I do not miss my large home I sold in FL! A bit on the pricey size when you shop around but everything is absolutely move-in ready, NEW, and SAFE. Hi Pedro- Thank you so much for the feedback and review! We have enjoyed getting to know you through the move-in process and are thrilled you chose River House as your new home! Very clean and a friendly environment. There are so many dogs! That is my favorite thing about river house. There are socials offered to residents all the time which is a great perk. Hi Jameson- Thank you so much for your wonderful review of River House! We are so glad you are enjoying your time at our community! Love living here. Staff is attentive and maintenance is on point with everything. Have a beautiful day and evening view of downtown. Can’t wait till the pool opens up for the summer. Hi- We love having you at River House! Thank you for being one of our first residents! We appreciate your feedback and review! It was a great move experience and everyone has been friendly thus far. I'm still getting used to the fob for entry and that there are no trash chutes. Hi Kyle- Thank you for the feedback and review! We are glad to have you as one of our newest residents, and hope to see you at our next resident event! This might have been missed at your move-in, but there are trash and recycling chutes on every floor! :) Yours specifically is in the trash room across from apartment 237. I hope this helps, and Welcome to River House! My boyfriend and I recently moved in and so far everyone is very welcoming in the community. I love the location & I can't wait to explore River House more! Hi Jocelyn! We are so happy to have you here! We hope to see you at our resident event tomorrow night! I absolutely love it here. The building is in the perfect location close to downtown, but away from the noise. The community is also so nice with many dog spots around the building and the amenities are exactly what I was looking for! Hi Kathleen! 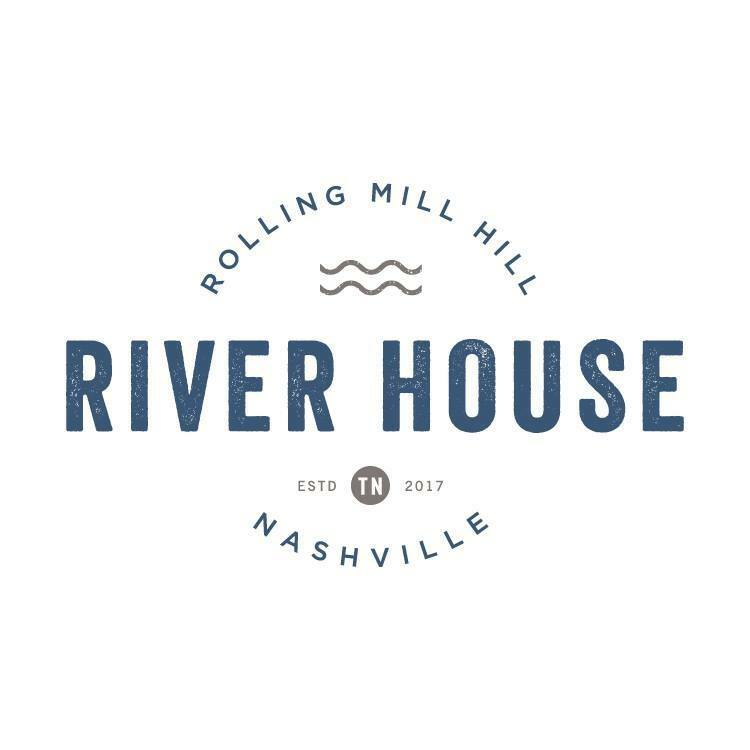 We are thrilled to have you at River House! Thank you for the feedback and kind review! We are glad you are enjoying your new home! RiverHouse has been one of the best apartment complexes I've lived in. The amenities and staff are some of the best in Nashville. Highly recommend. Hi Vance! Thank you so much for the kind review! We have loved having you at River House as one of our first residents, and hope to have you with us for much longer! Thank you again! Hi Lisa! Thank you for the kind words and feedback! We love having you here! Really nice quiet area, with downtown near by and others places too. Easy to drive to and really accessible for pets. People are really friendly and the inside courtyard is awesome. Hi Alejandro! Thank you for your review! We are glad you are enjoying River House! Hi Alex- Thank you so much for the review and feedback! We love being so close to everything downtown, and we are glad you do too! We appreciate your residency! Please let us know if we can do anything for you! Great complex with very helpful staff. Living on a lower level can get a little noisy from people outside but for the most part it's not an issue! Hi Katherine- Thank you so much for the review! We appreciate your feedback and enjoy having you as one of our very first residents! Fantastic location, huge apartments, lots of space, plenty of grass for dogs, nice staff. Awesome community, fun resident events, very quiet in the apartment. Hi Jennifer- Thank you so much for the review! We have enjoyed having you here with us and appreciate your residency! Hi Amy- Welcome to River House! I am glad your move went well, and we are thrilled to have you as one of our newest residents! Be sure to stop by the Super Bowl Party this weekend and meet your neighbors! Hi Amanda- Thank you so much for your feedback! We appreciate your residency and enjoy having you here! We hope to see you at the Super Bowl Party this weekend! The apartment complex is great! Such a good sense of community and everything is so new and up to date! I love the units, the floors especially and the safe parking. Hi Taylor! Thank you so much for your very kind review! We love having you here and hope to see you at our Super Bowl party! Thanks again! It has been such a wonderful move in process. Everything has been straightforward, no ambiguity and we knew exactly how everything is run. Such a pleasant experience! Hi Brett- Thank you so much for the feedback! We are happy to hear your move-in went well! We fully believe in transparency, and I am glad you have experienced that! We hope to see you at the Super Bowl Party where you can get meet us and your new neighbors! I love the community and amentities, it’s definitely my favorite Nashville complex I’ve lived in. I would highly recommend River House to anyone. Hi Katherine - we are so happy you chose River House as your new home! So glad to have you here, and we hope your move-in went smoothly! So incredibly happy I chose to live at River House! It's everything I need...clean, has a gym, pool, and it's close to everything, oh and everyone is super nice! Hi Andrea! Welcome Home! We are thrilled to have you here and hope to see you at the next resident event so you can meet your neighbors! Just moved in this weekend. Everything was smooth with the exception of setting up google fiber. Was told by google that the google fiber wasn’t available for this property. Hoping to clear up the confusion! Hello! So glad to hear your move-in went smoothly! That is correct - we are wired for Google Fiber! Please let me know if you need further assistance with them, and i will be glad to get it squared away! Welcome home! So far so good. Been here 3 days and the staff has been quite helpful. I’ve met a few residents on the elevator. Hoping to consider this home soon. Hi Angel! We are so glad to have you here! Thank you for making River House your new home! Please let us know if we can do anything to make your transition easier! We are here for you!